VolksWagen Emissions Lawsuit – What Is The VW Diesel Class Action Scandal? The Volkswagen emissions lawsuit has been dominating headlines in recent months. Maybe you’re out of the loop with the emissions lawsuit. Or maybe you just want to learn more about it. In any case, we’re here to tell you everything you need to know about the VW emissions lawsuit. The Volkswagen emissions lawsuit is the biggest disaster Volkswagen has faced in its entire company history. Stocks are down. Sales figures have been sliced in half. And customers are getting angry and distrustful. How did it all start? Volkswagen was caught cheating on its diesel emissions tests in America. All vehicles sold in America must meet certain federal and state emissions standards. Volkswagen was found to have cheated on those standards by installing a so-called “defeat device” in approximately 500,000 Volkswagen and Audi vehicles sold in the United States since 2009. As a result, Volkswagen is facing billions of dollars of fines from America and billions more possible settlements from lawsuits with customers. Volkswagen will also likely have to compensate owners of diesel cars equipped with emissions-rigged software. Some even believe that Volkswagen will have to buy back these cars altogether. Volkswagen is also the subject of a criminal investigation and several separate state investigations. In addition to installing the devices on 500,000 vehicles across America, Volkswagen has admitted to installing the devices on 11 million vehicles sold around the world. What is the “Defeat Device” Behind the Lawsuit? The “defeat device” probably isn’t as exciting as you think: the “device” is simply a few lines of code hidden within Volkswagen and Audi vehicles. These lines of code alert the vehicle when an emissions test is taking place, then artificially restrict emissions to prevent the vehicle from exceeding the legal limits. Volkswagen didn’t just rig the emissions tests to beat its competitors: the company appeared to rig the emissions tests because it needed to cheat to comply with US law. According to the Environmental Protection Agency, Volkswagen diesels emit 10 to 40 times the legal limit of nitrogen oxide. One of the biggest problems with Volkswagen cheating eon emissions tests is that buyers paid a significant premium for their Volkswagen vehicles. Specifically, Volkswagen buyers who purchased 2009 to 2015 model year Clean Diesel vehicles paid a premium anywhere from $1,000 to $7,000. This premium was paid despite the fact that the cars were equipped with a falsely-advertised fuel-saving engine called “Clean Diesel”. These vehicles cost significantly more than standard vehicles equipped with gas engines. Not all diesel engines were affected by the faulty software. Volkswagen customers across America are filing lawsuits against the world’s second largest automaker. These lawsuits are virtually identical in language. All of the lawsuits claim that Volkswagen deliberately advertised its vehicles as having high fuel mileage and low emissions. This was a key selling feature for Volkswagen vehicles. However, this quality was untrue: Volkswagen vehicles were not necessarily better than competitors’ vehicles in terms of emissions: they were just equipped with devices that allowed them to “trick” emissions tests. One of the law firms leading the charge against Volkswagen is Seattle’s Keller Rohrback LLP. That law firm has now filed lawsuits on behalf of plaintiffs in “nearly every state in the US” according to a representative of the firm. Plaintiffs in the lawsuit are asking for injunctive relief through a recall or free vehicle replacement along with unspecified damages. -Withdrawn Consumer Reports Recommendations: Consumer Reports no longer labels diesel Jettas and Passats as “recommended”. The company called the scandal “outrageous”. This withdrawn recommendation has an impact on your vehicle’s resale value. -Decreased Performance: It won’t be easy for Volkswagen to make its vehicles comply with emissions standards tests. After all, the vehicles are 10 to 40 times over the legal limit. Making the vehicles compatible would require a substantial drop in performance. Over the past few weeks, over 200 lawsuits have been filed across America. Most of the lawsuits echo the same text listed above. Volkswagen continued this activity for seven years. Certain lawsuits are challenging Volkswagen on different parts of the law. Keep reading to discover how different lawsuits are being pushed forward in your state. In other words, Volkswagen either needs to replace the vehicles immediately or immediately repay all customers who purchased Volkswagen vehicles. Other lawsuits have claimed that Volkswagen vehicles cannot be legally driven on America’s roads because they violate pollution standards. There’s no question as to whether or not Volkswagen rigged its diesel emissions tests: the company has admitted it did so. In September, Volkswagen admitted to rigging emissions tests in the United States. Specifically, Volkswagen admitted that 482,000 cars sold in the United States from the 2009 to 2015 model years had software that programs them to cheat on emissions test. Volkswagen later acknowledged that this wasn’t just a United States problem: this software was also found on 11 million cars worldwide. How Much Could Lawsuits Be Worth? The 482,000 cars sold in the United States have an average value of $14,466. 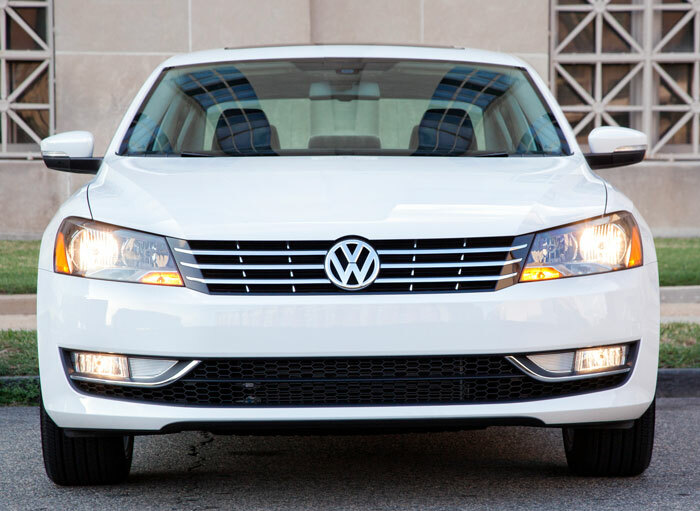 On the low-end, the cars are worth $8,409 for a 2009 Jetta to $21,474 for a 2015 Passat. Based on that average value, Volkswagen would have to pay more than $6.9 billion to repurchase the vehicles from consumers. That may seem like a lot of money, but Volkswagen has conveniently set aside $7.3 billion cash to deal with the scandal, so that $6.9 billion figure would be right in line with estimates. Under California law, Volkswagen buyers are not forced to accept payment for their vehicles. Instead, they could opt to receive a replacement vehicle instead. How Much Will it Cost Volkswagen to Fix Affected Vehicles? Volkswagen may end up having to buy back, repair, or replace all affected vehicles. However, Bozi Tatarevic at TheTruthAboutCars.com recently put together his preliminary list of additions that would be required for each vehicle to make it comply with environmental standards. An estimated 6 to 7 hours of labor per vehicle, priced at $100 per hour, would bump the cost up to $3,100 to $3,200 total. Meanwhile, the cost of buying back a 2009 Jetta TDI is estimated at about $7,000. Volkswagen would have to weigh these costs against one another to determine the best course of action. Lawyers across America are scrambling to attract plaintiffs for Volkswagen lawsuits. Typically, lawyers receive about 30% of a class action settlement. That’s why it’s never been easier to find Volkswagen class action lawyers in your area. A simple Google Search should reveal plenty of lawyers nearby. Of course, there’s no reason to choose a lawyer in your local area: you can choose lawyers from anywhere in America.